Kamal Nath likely to contest Assembly bypoll from Chhindwara - NO FAKE! 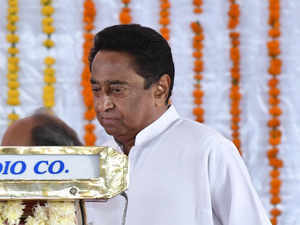 Madhya Pradesh Chief Minister Kamal Nath.BHOPAL: Madhya Pradesh Chief Minister Kamal Nath, who was mulling contesting the Assembly bypoll from Sausar seat, is most likely to fight it from his home turf Chhindwara, his aide said on Tuesday. According to the aide, Nath also wants his eldest son Nakul to fight the upcoming general elections from the Chhindwara Lok Sabha constituency. “Nath, a nine-time MP from Chhindwara, has almost made up his mind to contest from Chhindwara Assembly seat. Earlier, he was thinking of contesting the by-election from Sausar,” his aide said on the condition of anonymity. The chief minister changed his mind as he thought that if he contests from Sausar, a little known assembly seat in Chhindwara district, the BJP may run a campaign to defame him saying that he was running away from his home turf, he added. “Nath wants Congress to field his son Nakul (37), a graduate from Boston University, as the party’s candidate from Chhindwara Lok Sabha seat in the upcoming general elections,” the aide added. According to him, Nath has represented Chhindwara Lok Sabha seat nine times since 1980, except once. In the state elections held in November, the Congress had won all the seven assembly constituencies in Chhindwara district. Nath took oath as the chief minister on December 17 last year. As per rules, he will have to get elected to the Assembly within six months.